Simple solution for storing microfiber towels! 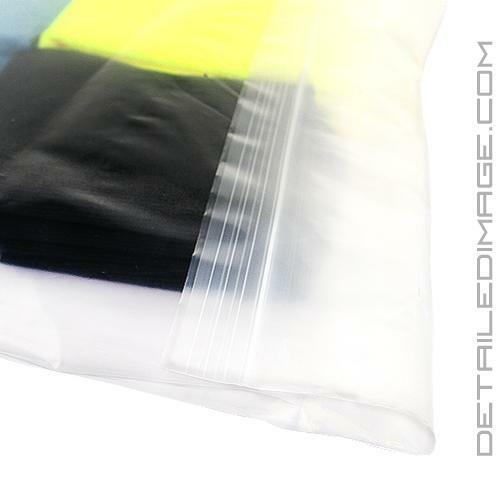 The DI Accessories Reclosable Storage Bag is perfect for storing your Microfiber and other detailing supplies. Microfiber towels have become the backbone to high quality detailing so caring for your towels is critical. This bag comes in two great sizes, so you can easily handle accommodate dozens of your favorite microfiber towels, keeping them clean in between uses. The natural static charge every microfiber towel has will literally pull in contaminants from the environment. If you leave them out in the garage or around the house you can be sure they'll pull in dust and dirt over time. Place them in this airtight bag so you can preserve your towels and keep them in ideal condition for years to come. This bag can also hold buffing pads, applicators, brushes and other miscellaneous supplies. 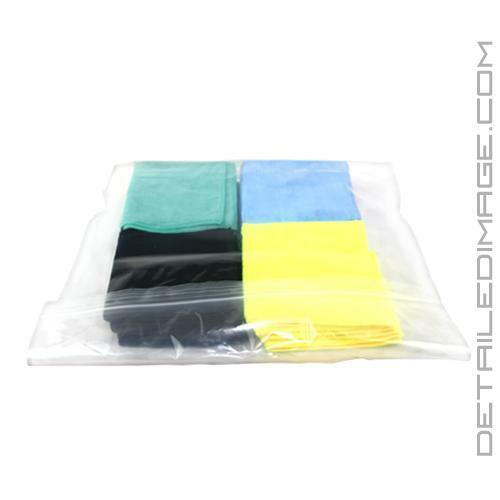 Stop wondering why your microfiber towels have gotten dirty and store them properly in this quality Reclosable Storage Bag. These bags are BIG and are a great way to store microfiber towels from being contaminated. They are also thick preventing them from being penetrated. Great way to store my MF towels and other items. I didn't realize just large these bags were, 2' x 2' is a very large bag. As they are only 3 weeks old it is hard to determine longevity especially for the seal. Very happy up to this point.